In 2007, 30,000 Spanish visitors descended on Glasgow for the UEFA Cup Final. 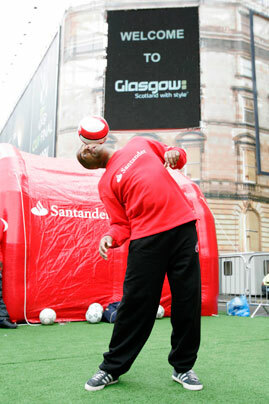 Official partner Santander wanted to engage the visitors, and the city of Glasgow, reinforcing their connection with the tournament. 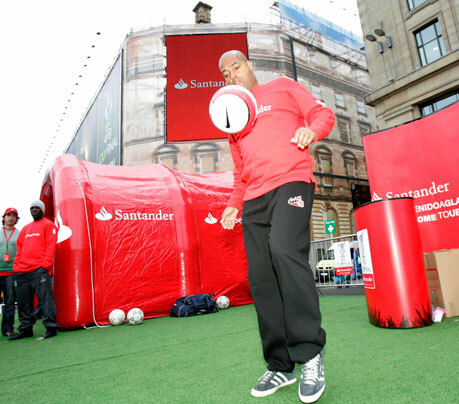 Maximise Sport took the brand directly to the fans in the streets - creating a football zone with artificial grass, net surrounds, subtle branding and sound system, right in the city centre. 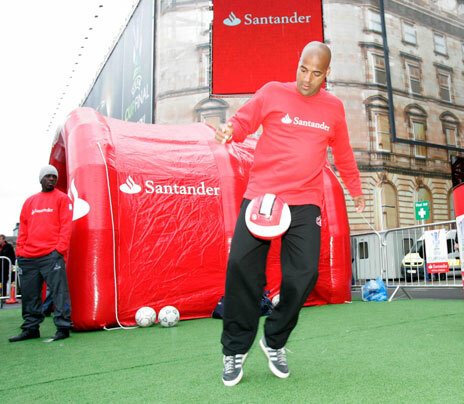 The stage was set for some of the world’s greatest freestyle footballers, including Rob Walters and Juan Carlos Salvadoro, to do their thing. The result? 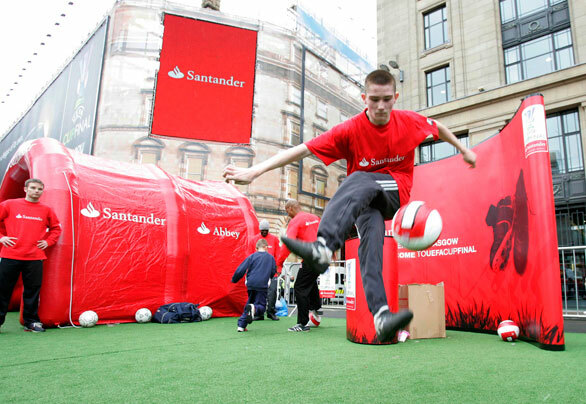 A unique celebration of the beautiful game, with Santander at the heart of the action.